Often times, we as teachers, want to save and share many links with students but sometimes students (especially younger ones) might have difficulty finding or accessing links online. SYMBALOO is a great resource to help. 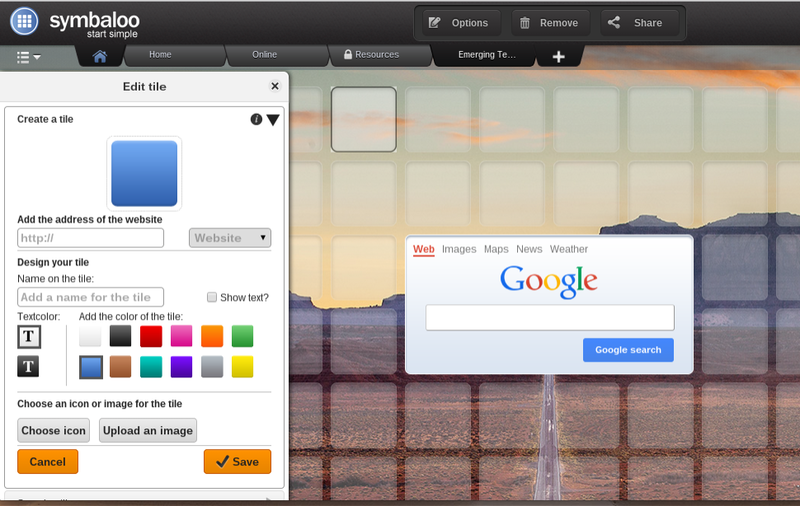 "Symbaloo is a visual bookmarking tool that makes it simple and fun to organize the best of the web. You have all your favorite websites at your fingertips. With an account you can access your bookmarks from everywhere with any device and share your online resources with others." 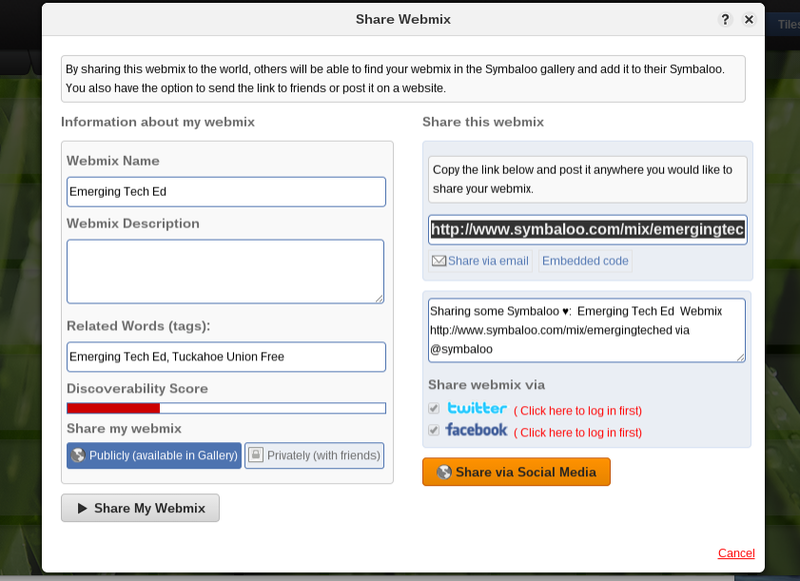 How to create your own Symbaloo Webmix/Page. Once you have created your own page it will be blank. To add tiles click on one and an "edit tile" tool bar will show up on the left. 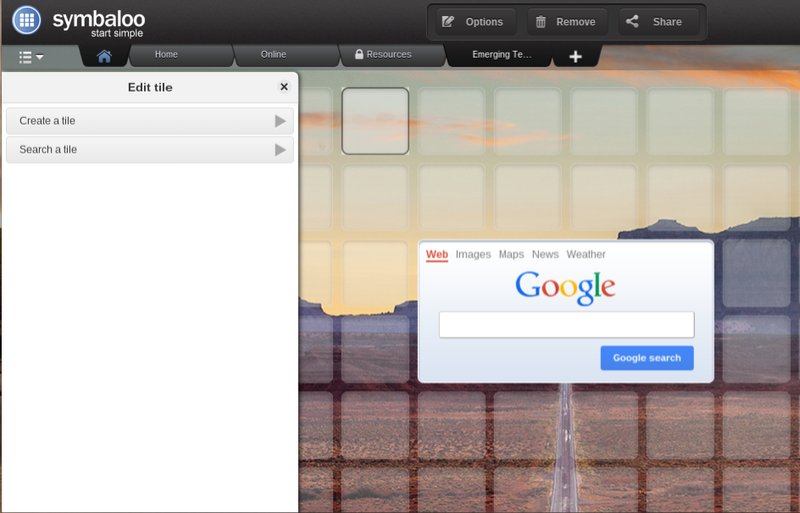 To add tiles using the "Quick Add a Tile" method, right click on a tile (or on a chromebook, two finger click) and click "Quick Add a Tile". Click Enter and your tile has been added to your page. 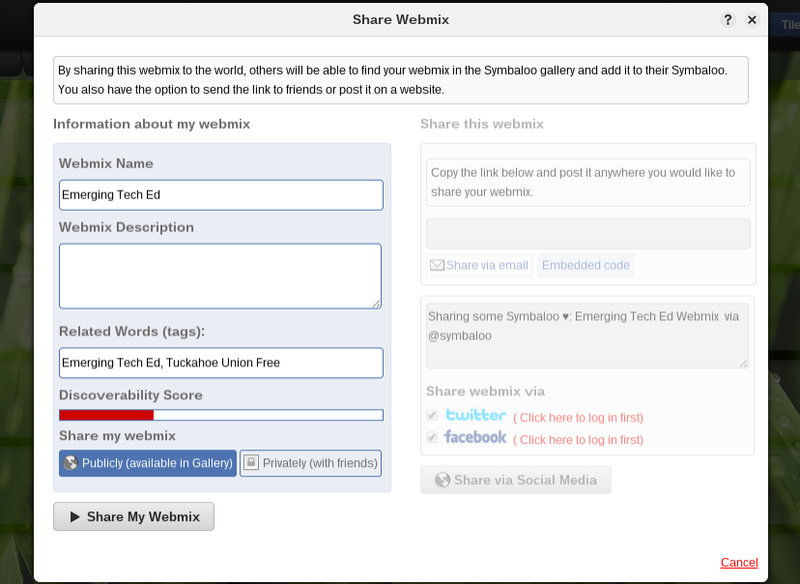 A Weblink will then be created that you can copy, share and paste on a webpage, GOOGLE CLASSROOM, etc.